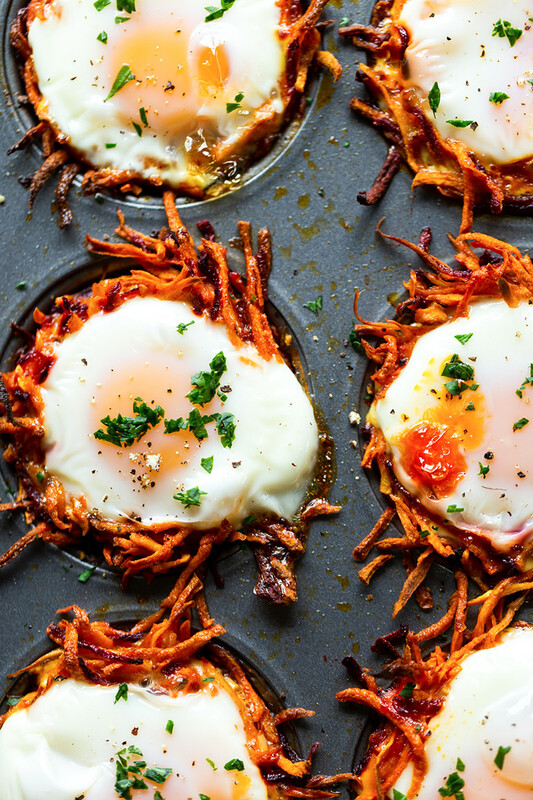 These colorful Root Vegetable Egg Nests are a fun way to get extra veggies in the morning. Perfect for breakfast or brunch, they are gluten free, paleo and delicious! Hello everyone! It's Meghan from Fox and Briar! Kelly invited me to pop over here and share this recipe for Colorful Root Vegetable Eggs Nests with you. Over on Fox and Briar, I focus on easy recipes using real ingredients, and I believe that good food doesn't need to be complicated. I met Kelly last year at the Autumn Glory apple harvest, and I love her focus on making healthy eating easier for busy people, and teaching kids to love healthy foods. Since I recently became a mom, I have a new interest in introducing healthy foods to my baby (just as soon as he starts eating solids!). That is why I decided to share these Root Vegetable Egg Nests today. If you follow my blog, you know I am a big fan of making eggs in muffin tins, such as with these Make Ahead Egg Muffins. 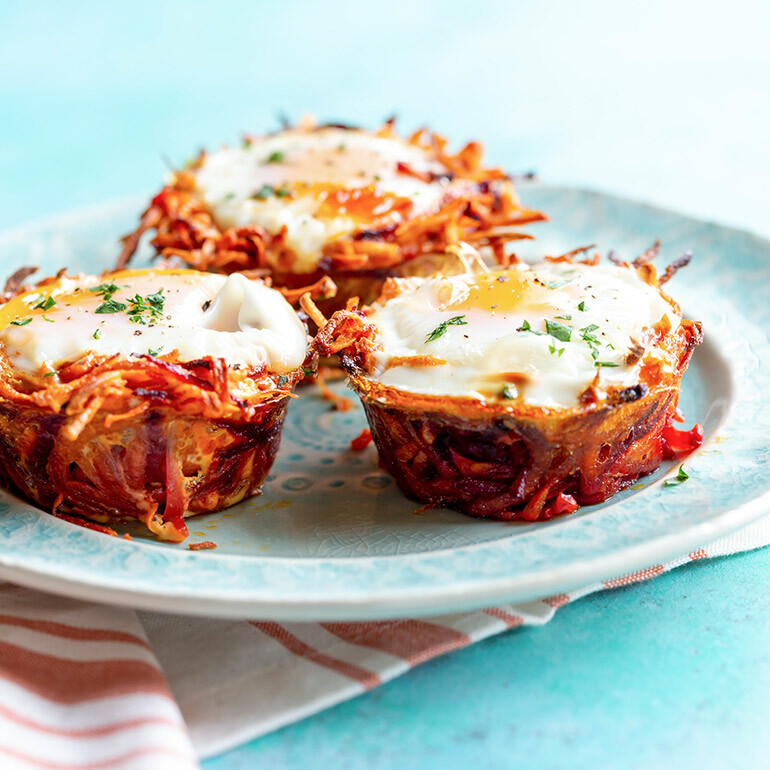 These Egg Nests are another fun breakfast or brunch recipe that also sneaks a few veggies in. 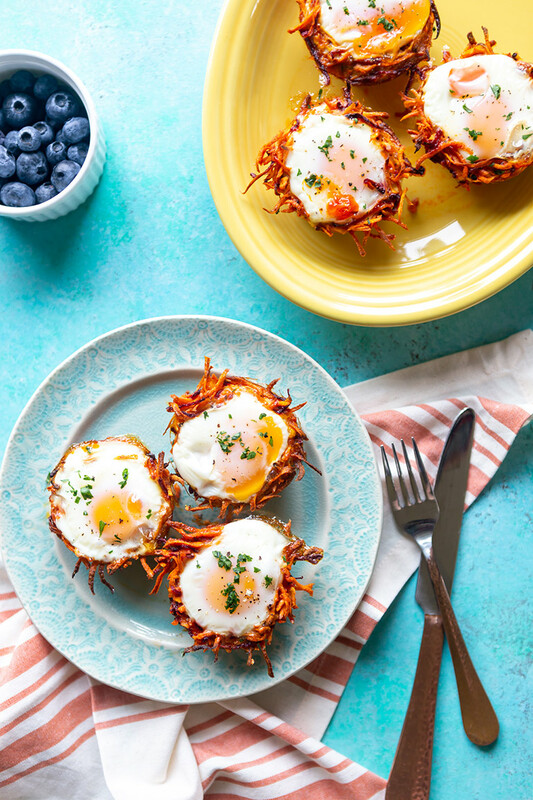 I used sweet potatoes, parsnips and beets to create these hash brown nests. 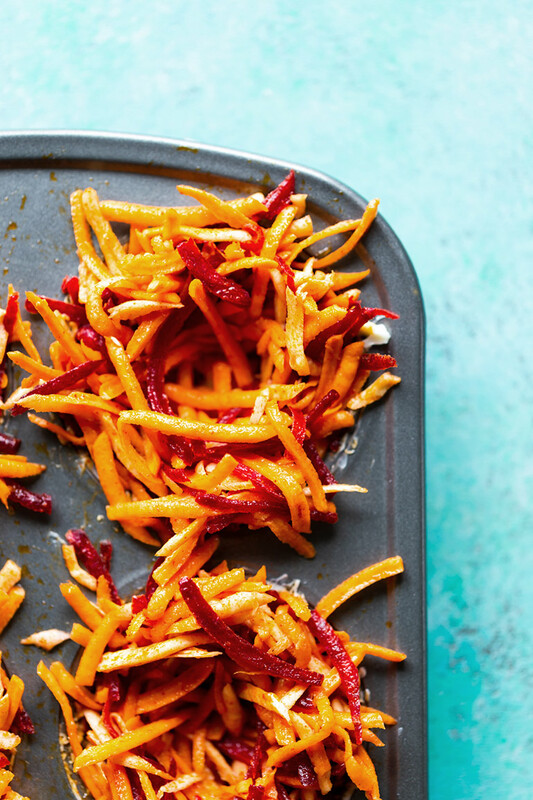 Not only do they look like colorful confetti when grated and tossed together, but the combination of the mild sweet potatoes, the sweet nuttiness of the parsnips, and the earthiness of the beets make trying new vegetables fun and delicious! Cracking an egg into each nest makes a complete and compact breakfast. How delicious would these be for brunch alongside my Honey Chipotle Bacon? ?